LinkedIn, put simply, enables businesses to network new contacts and leads, recruit new staff - and perhaps most pressingly, interact with their peers and market. If you own a business, or are the marketing & PR director, your company should be on LinkedIn. 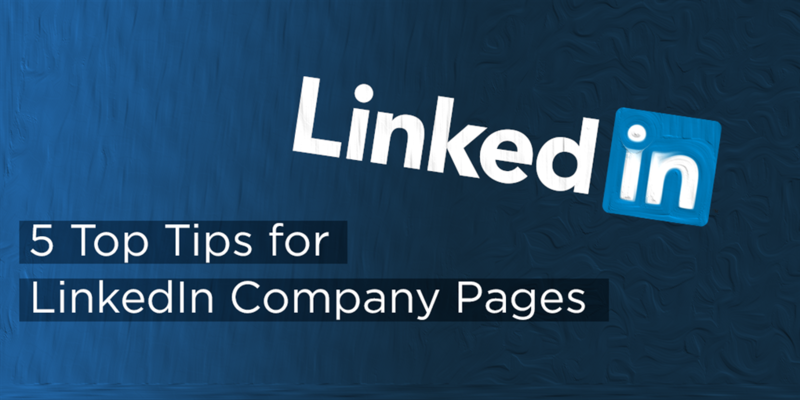 Here's our top tips on how to use LinkedIn Company Pages effectively, to increase social presence and better your company. To learn more about how to use social media check out 'Using Social Media when Recruiting Staff'. 3. It gives the company an image of lacking authority and organisation - seeing a companies hierarchy, staff, and roles all laid out in consistent branding conveys an image of competence - not doing so does the opposite. Get your branding out there, LinkedIn is a fantastic platform for advertising and marketing your business - make sure your company looks professional, and that it's branding is everywhere, even on shared content. As with any social network LinkedIn has it's own recommended sizing for image sizes - Make a Website Hub provide an updated and very useful 'cheat sheet' on social media banner sizing. With LinkedIn specifically it's worth bearing in mind that currently company pages are in a beta stage of development - so may be prone to change, so make sure you check and regularly maintain your branding. Updating branding for seasonal or corporate events can also go a a long way. LinkedIn is a great platoform to share articles and content with your following. Sharing relevant and current articles about your field depicts you as informed, or generating your own positions your company as informed AND engaged - get involved with trends directly. Content sharing is the biggest form of interaction on LinkedIn - when click it can direct people to your site, or affiliated ones, improving traffic and potentially generating leads. But everyone's sharing content on LinkedIn so make yours creative and interesting - give people a reason to click on your content! If you want people ot find your company profile on Google, it needs to be search-engine optimized - the process for this is called SEO (search-engine optimization - surprisingly). SEO can be done by anyone - at a base level this means titling your articles with key-words, talking about relevant and engaging content without copy + pasting, and making sure any images in your content have relevant titles & alt tags. Alt-tags are where things get a bit code-y - so if you're not too savvy on that focus on your content being relevant an engaging with keywords, same with your LinkedIn company profile descriptions. LinkedIn has it's own system of analytics in the admin section for managing your company page. You can use these for an oversight as to how your LinkedIn is performing, this includes how much traffic it gets, and how many people engage with your content. If you implement the above strategies, you should see both of these figures rise - keep an eye on your analytics, because if they don't rise you're doing something wrong. So that's our quick 5 top tips for using LinkedIn Company pages effectively, we hope it's helped and inspired you to up your social media game! For more information on the sales industry & its recent trends check out our blog here, or to recruit top level staff head to our recruitment page.